This is a Level 2 course which required candidates already to be confident and competent h andling shotguns. They must also not be a prohibited person under Section 21 of the Firearms Act to handle a firearm. It is designed to consolidate and progress existing shotgun and field shooting competence as these apply to the loading and assisting role. Appropriate for persons already or, planning to be engaged as loaders and assistants in formal game shooting, recreationally or, linked to a work role requirement. Min. age to enrol 16. 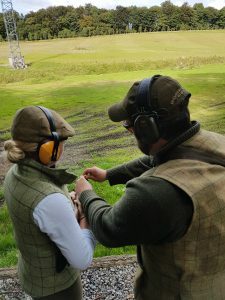 Courses may be facilitated on private estates or registered shooting grounds. Max 6 persons. Lantra registration, certification, course materials, equipment and refreshments included. Facilitation at shooting schools and private estates throughout the UK.